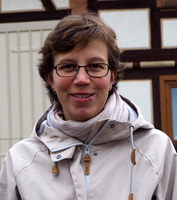 Eva Eichenauer is research associate at Leibniz Institute for Research on Society and Space in Erkner near Berlin. From 2014 - 2018 she was research associate at PIK. Within the research-project “Energiekonflikte” (energy conflicts) she analysed the relation of lifestyles and attitudes towards energy politics and renewable energy projects and looks at the inter-relatedness of local resistance against the energy transition, the rise of right-wing populism and democratization. Within KliB (Climate Neutral Living in Berlin) she looked at low emission lifestyles and social innovations in everyday practices. She studied Southeast Asian Studies at Humboldt-Universität zu Berlin and sociology at Potsdam University, focusing on environmental sociology and feminist theory. Her research interests lie within the fields of democratization processes both within Europe and Southeast Asia, the social dimension of the energy transition, conflict research and sustainable lifestyles.